The comedian Bill Maher is taking a lot of heat after his tweet about Tim Tebow’s loss to the Buffalo Bills over the weekend. Yes everyone is joking about Tebow’s PDR (Public Display of Religion) and how it’s a little over the top, but Bill took this joke to another level. Actually, it’s more like a hurtful Tweet to a positive guy like Tim Tebow, like him or not. “Wow, Jesus just f—– #TimTebow bad! And on Xmas Eve! 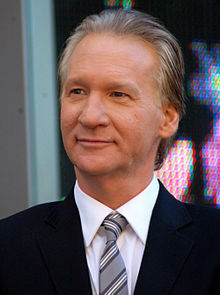 Somewhere in hell Satan is tebowing, saying to Hitler “Hey, Buffalo’s killing them,” Maher tweeted.